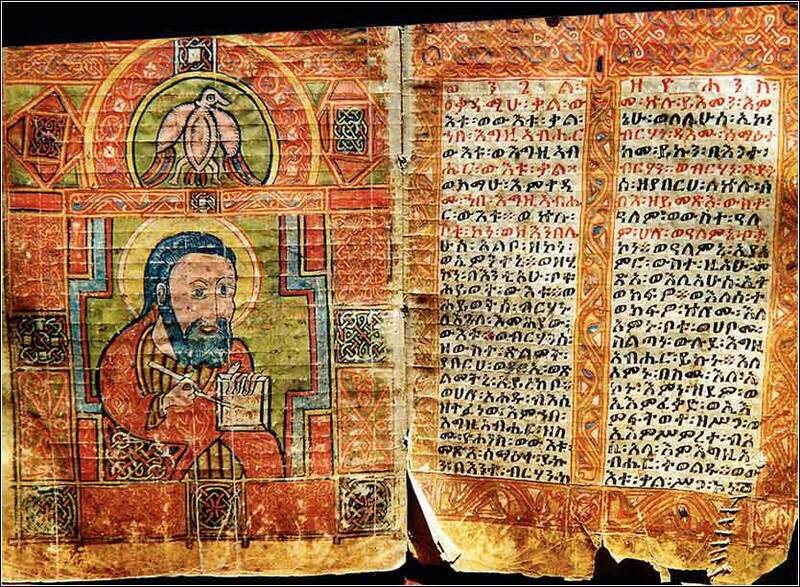 Gospel of John with a painting of the Evangelist, Ethiopian Bible ca. 800 A.D.? This Bible is written in Ge’ez, the ancient dead language of Ethiopia. The Bible is housed in Abba Penwolton Monastery, the first monastery in Africa, built around 300 A.D.
172 people in our community are currently praying with you. There is no verse in the Bible that gives theologians more fits than this one. Asking God not to lead us into temptation presumes that He does lead us into temptation. But we have to read no further than the first chapters of Genesis to learn that it is Satan, not God, who tempts us into sin. Is this a misprint? The problem with this explanation is obvious: That isn't what the verse says. We don't change or ignore the words in the Bible just because they puzzle us (or because we don't like what they say!). Instead, we try to figure out what they mean. Losing your job and going bankrupt is a trial; the thought of stealing money to solve your poverty is a temptation. Discovering your spouse is cheating on you is a trial; hating him, shooting him, or having your own affair in revenge are temptations. Recall the first words about the temptation of Christ: “Then Jesus was led up by the Spirit into the wilderness to be tempted by the devil.” (Matthew 4:1) The Spirit did lead Christ into what we are calling a “trial where we will face temptation”, and He will sometimes lead us into such trials. This is what the Lord's Prayer has in mind. We ask God to spare us such trials so that we will not be tempted to sin, even though we know that, often, our request will not be granted. We cannot understand God's infinite wisdom, and must simply accept such trials as are given to us, in faith that God ultimately has our best interest at heart. There is an additional lesson, however, a comforting one, we can learn from the temptation of Christ: God does not ask us to go through something He hasn't suffered through Himself. All of us will face temptation, and all of us will sin. (Romans 3:23) God may not always grant the first part of this petition, but He will always grant the second part: the very reason Christ endured His trials was to save us from evil. We have an infinitely powerful friend who will step in, on our side, if we only believe in Him. 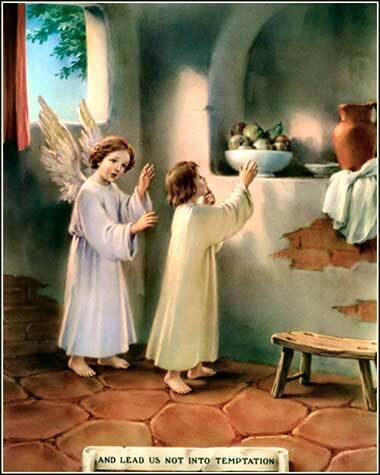 Childrens' Prayer Card ca. 1920.